This article will help you setup Custom Review Forms for Products, this feature is currently available on the Ultimate Plan. Custom Review Forms are a great way to ask detailed questions during the review process in order to gather unique and personalized reviews from your customers. These detailed answers can also help prospective shoppers on your site, because it will give them a better understanding of what post-buyers experienced with it. 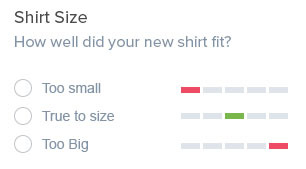 For example: If you're a clothing company, you can ask customers "How well did X item fit you?". The answers gathered from that custom question can help you make improvements to the existing product, and provide shoppers with an better understanding when making their purchase. There are several steps below to start utilizing Custom Review Forms. A tag is a text association with a product in the system. 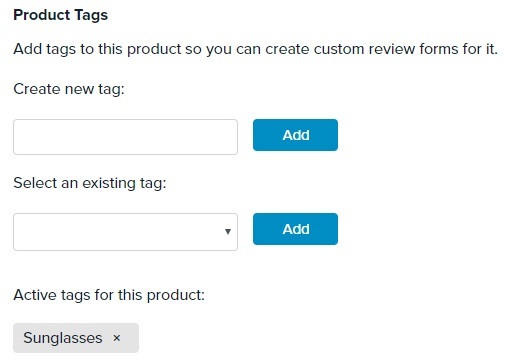 By adding a tag to a product, this tells TrustSpot to apply your Custom Review form to this specific product. Only 1 tag can be assigned to a Product at any one time. Scroll down to the bottom to the Product Tags section. If you're already created a tag in the past, you can select it from the Existing Tag drop down. Once the tag is selected, click Save Settings at the bottom. Your selected tag will now display under the Active tags section. Form Name - this is an internal name for the form, your customers do not see this. Product Tags - assign tags that were previously created above. All products that have the tag applied to them will use this custom review form. Once the above is finished click "Add Question" to add your first question to the form. Customer - these are questions about the reviewer, such as their age, gender, shoe size, etc. Product - these are questions about the product they purchased, such as the Fit, taste or durability of the item. You also have the option if a question is Mandatory or not. 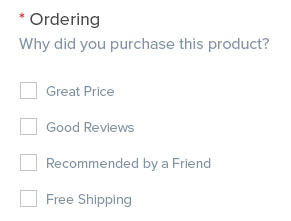 If the mandatory checkbox is selected, than the customer will have to answer this question in order to submit the review. 1. Single Choice - these are radio button answers, where only 1 choice can be selected. 2. Multiple Choice - these are checkbox button answers, where multiple choices can be selected. 3. 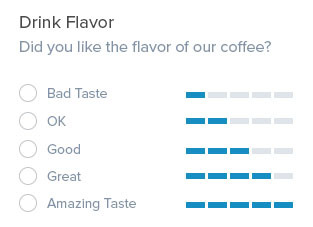 Rating (1-5) - this answer type allows you to ask the customer to giving a rating from 1 bar (lowest) to 5 bars (highest). 4. Fit - this answer type is exclusively for asking a customer how well something fit them, such as a new Shirt, Pants or Shoes. The customer will have 3 options to choose from (small, true to size, big). 5. Free Text - this answer type is a text box, allowing the customer to enter a detailed response to your question. After you've added a few custom questions to your review form, click the "Save Form" button at the bottom. This form will now be Live and is ready for immediate use. 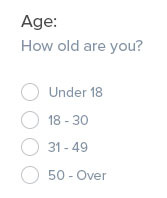 Display Title - this displays above the question area (ex: Age). Guidelines Text - this is an optional area for the Free Text answer, allowing you to provide additional text to help the customer such as example text. Bar Colors - for the rating & fit answers, you can control the empty and full bar colors. If you choose to Delete a Custom Form, the standard Review Request will begin sending for the products associated with that custom form.